If you want to reach your training goals, you have to understand your body type. This determines what you need to do to get the results you want. To illustrate this, I could use stories of athletes, clients and my own training. However, this time I’m going to use a story from my non-training life. Sometimes these non-training stories that provide a unique perspective and clarity that help us to see vital training lessons we may often miss. Understand these lessons, and you will better understand how to get the results you want. 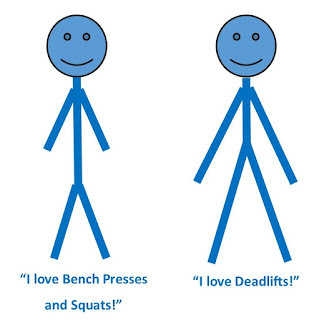 I know that the topic of body type is a polarized one in the fitness industry. Some people seem to think there is no such thing as a body type/somatotype while others don’t even try because they think their natural body type dooms them to failure. One of the challenges with the body type issue is the lack of research. 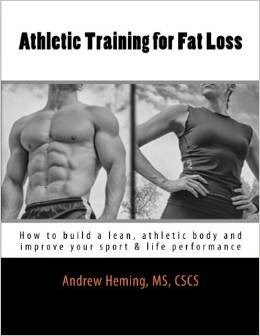 While the terms ectomorph, endomorph and mesomorph are widely used in the fitness industry and even appear in the scientific literature, there are really no research studies done on things like, “the best muscle building program for an ectomorph” or “best fat loss protocol for endomorphs”. The other challenge is training and nutrition intervention. For example, you could have a guy who looks athletic and muscular and not realize how skinny he would be with a ton of food and some seriously intense training. You could have a woman who looks like an average, healthy woman and not realize how hard she works in the gym and the kitchen to be as lean as she is. In reality, we all come in different shapes and sizes. Some people seem to be a true blend and are not easily classified as having one particular body type. However, after being a trainer for over 18 years and training thousands of people, I have seen a lot of people who are a particular somatotype. A somatotype is not necessarily what you look like. 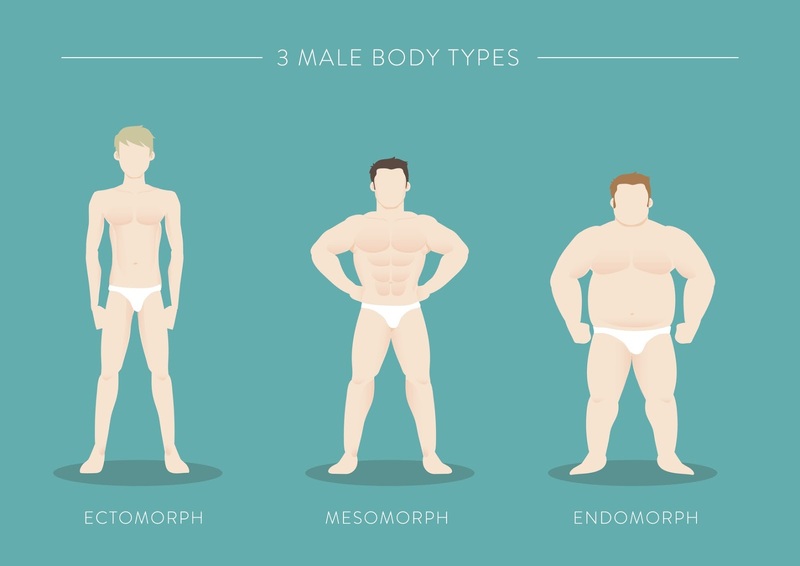 Not everyone who is obese is an endomorph. Not everyone who has muscle is a mesomorph nor is every skinny person an ectomorph. Your body type is not necessarily what you look like but what you would look like without specific training and nutrition intervention. 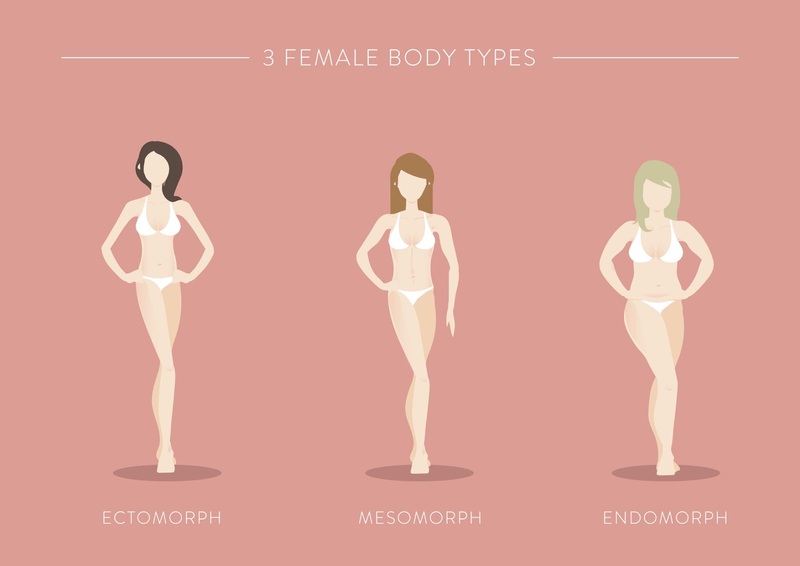 Your body type determines your starting spot. It also impacts what is a reasonable goal for someone to attain. For example, a short, meso-endomorph woman is not going to have long, lean muscles like a dancer no matter what special workout she does. Also, while the most important aspect of training (e.g. hard work, consistency) apply to everyone, certain body types are more or less suited to different exercise variations, programs and diets. Your body type dictates the rules you have to play by. Your body type is not a license to make excuses, but a clue as to what you need to do. If you want results, here is what you need to know about your body type, your habits and your training results. As a kid, I had great teeth. Sure I gave them a daily mediocre brushing, but when the dentist would ask about flossing, I would offer my “clever” line, “Not as much as I should.” This was my tactful way of saying, “virtually never.” Why would I bother flossing when I didn’t get cavities? What I didn’t realize at the time was that my great teeth were really the result of being young and Daddy’s great dental benefits – not my dental hygiene. Your take-home pointMany of us develop habits and ideas of what we think it takes to be fit and healthy while in our youth. We think we know the rules to a strong healthy body, but usually we don’t – trust me, I’ve been there. Many young Instagram stars look the way they do despite the training and dietary mistakes they make. As the reality of adulthood and being past our prime hits us smack in the face, we are forced to re-evaluate and re-learn what it really takes to stay lean, muscular, athletic and healthy. As a young adult without dental benefits and still not flossing “as much as I should”, I got my first reality smack in the face – a cavity. This was just what I needed to wake up and take action – I committed to daily flossing. Your take-home pointMaybe you have had a reality face smack. Maybe you saw a picture of yourself on vacation. Maybe you got an honest comment from a young child (with no filter). Maybe you struggled to lift a weight you used to easily handle. Maybe someone asked you if you work out (What!? You can’t tell???). Maybe someone blew past you in a game of pick-up basketball. Maybe you got sidelined by a training injury. While these reality smacks sting, they can be the perfect starting spot to making the change you know you need to make. I wish that was the end of the story. However, over the next decade I kept getting the same question at the dentist – “Are you flossing?” How humiliating. I was going through the motions of flossing but the experts couldn’t tell. Instead I got comments on plague build-up, inflammation and bleeding gums. Your take-home pointSuccess in the gym is about more than just showing up and going through the motions. Just because you go to the gym and do great exercises doesn’t mean you are doing it right. How many times do you walk into your gym, see someone lifting and think, “Wow that is amazing technique!” How you do a lift and the effort you put into it are what really make the magic happen. We all need and benefit from coaching. You must always be evidence-based in your training. Just because something seems like a good idea or works for others does not mean it will work for you. Too many people make the mistake of thinking they had a good workout because they left sore, tired and sweaty. This means nothing if you are not getting results! These lack of results drove me nuts. I was putting in more time than ever on my teeth and still no results. Also, I knew that chronic, low-grade inflammation is a major contributor to chronic disease. I had to get this figured out. Over the next decade, I continually learned more from the dental assistants about teeth care. First, I improved my brushing technique. Then I learned how to really take my time and get under the gum line when I flossed. However, this was still not enough. Nine months ago, my dental assistant suggested I try one of those inter-dental brushes. I committed to using this faithfully after flossing. I also upped by brushing frequency by bringing a tooth brush and tooth paste with me to work and would brush my teeth after meals in the public washroom. I knew others in the washroom thought I was nuts as I stood there brushing my teeth, but I just ignored it or gave them my dumb joke, “I can’t afford gum” and then continued brushing away. Your take-home pointMaybe there is still a missing ingredient to make everything that you are doing right come together to give you the results you want. For example, maybe your training is going great, but you need a little more focus on recovery. Keep looking for solutions until you find the one you need! Quit looking around to what others are doing or not doing. You know people who can always eat dessert and still be lean. You know people who have big, muscular bodies despite their inferior choice of exercises and effort. You know athletes who are naturally fast despite the fact that they don’t train. You know people who are really flexible without really working on it. You know people who don’t have to food log. You know people who simply inherited big, muscular calves. However, you must never forget that these people are not your standard. Your results are your standard. Recently, I finally got the results I was looking for – a great dental check-up with shocking improvement. All the extra time and work was finally worth it. The greater the price you pay for success, the sweeter the satisfaction you get. When you are able to overcome what seems like genetic limitations, you can enjoy a deep-down satisfaction you never get when something comes easy to you. 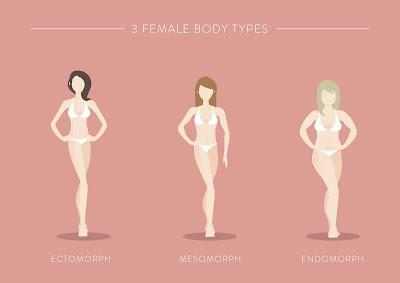 We all have different body types. As a result, we all have different strengths and weaknesses. Some things may come easy to you. Others may not. Some goals may not be worth it. However, if you really want a goal, you have to do what it takes to get it. If your goal (assuming it is very challenging, but still realistic) area is a natural weakness for you, only have two options: do the extra work you need to get it or change your goal. What you might need to reach your goal can be very different than what someone else needs. Having a different body type than someone else means you may have to play by different rules. Ignore your fears about what others may be thinking about you. Don’t be afraid to go against the flow and not follow today’s fitness fashion. Do what you need to do to get the results you want. How about you? Have you had a similar experience with your body? I welcome your comments or questions below or on my Facebook Page.